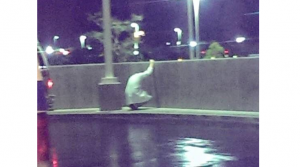 Earlier this year there was a picture and a story making rounds on the internet about the grief of physicians. An EMT snapped a photo of a young ER doctor who lost a 19 year old patient. The photographer states that shortly after, the physician walked straight back into the ER. The picture is a moment of isolation in grief by a caretaker, and the original forum for the image is filled with thousands of comments that range from encouragement to echoes of similar moments by healthcare professionals and family members who continue to grieve death. …When the time had come to its fullness God sent the Son, born of a woman… so that we might receive adoption as children (Ga 4:4–5) NRSV. * McNeill, Donald P., Douglas A. Morrison, Henri J. M. Nouwen, and Joel Filártiga. Compassion, a Reflection on the Christian Life. N.p. : Doubleday, 1982. Print.